I’m a huge fan of sparkling water. It’s a terrific calorie-free thirst-quencher (say that 10 times fast!) and there are so many delicious reasons to enjoy it. While there are numerous types of bottled and canned H20, I’m personally obsessed with carbonated water made without any added sugar, artificial sweetener, or sugar substitute, including stevia and monkfruit. 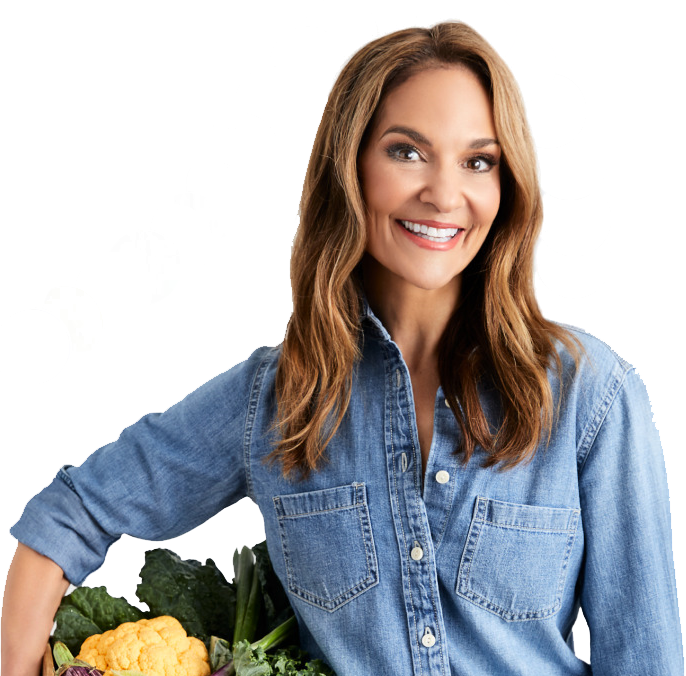 This is why I’m so proud to partner with LaCroix Sparkling Water and act as their Official National Dietitian. They offer 24 amazing flavors, and each variety has zero calories, zero sodium, and zero sweeteners. Thirsty for more? Check out four hydrating perks so you can sip and savor! Flavored sparkling water is hydrating. Your body is comprised of up to 60 percent water. It needs fluids to run efficiently and effectively (to figure out how much you need, divide your weight in half and that’s about how many ounces of fluids you should aim for daily). All your body’s systems, from digestion, metabolism, and immunity, work better when you’re properly hydrated. Not to mention, when you’re fully hydrated, your joints are lubricated and your muscles are able to perform at 100 percent (no cramping! ), allowing you to make the most of your workout. Of course, water—flat or sparkling—is the obvious go-to for rehydrating, and you can also get fluids from water-rich produce, such as watermelon, strawberries, cucumbers, eggplant and celery. Flavored sparkling water elevates ho-hum H20. Let’s face it, as good as plain old water is for you, it can get a little boring. People are constantly asking me for ideas on how to make water a little more exciting…and tasty sparkling water is a satisfying solution. Some of my favorite flavors include LaCroix Passionfruit, Coconut, Pamplemousse, Peach Pear and NiCola Cubana. You can enjoy LaCroix chilled and straight up, or mix it with slices of fresh produce (try cucumbers, lemons, lime and berries!) or try tossing a few flavor-infused ice cubes into your glass to add a bit more buzz to your bevvies. 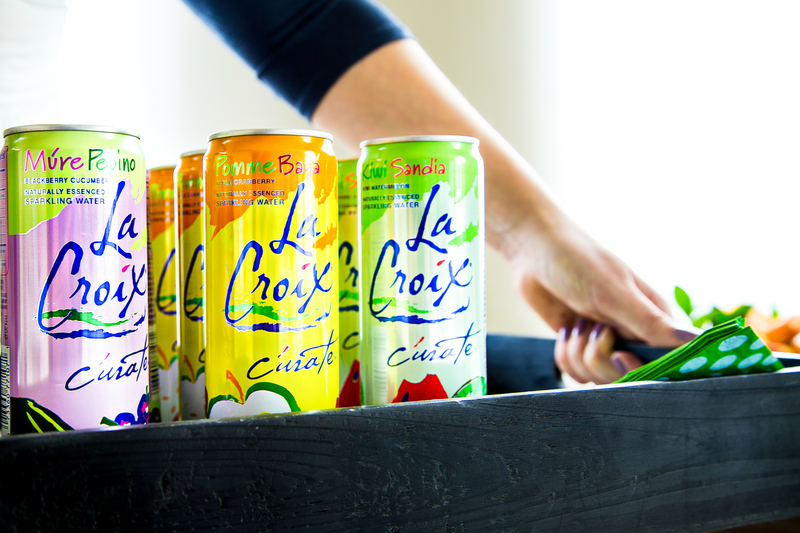 To make, add a few small pieces of chopped fruit or veggie into each individual cube compartment, fill with LaCroix and freeze until you’re ready to enjoy. Not only do these cubes give your glass a pretty pop of color but they intensify the flavor of your drink as they melt. Flavored sparkling water helps boost your healthy lifestyle. Sparkling water is calorie-free, sodium-free, sweetener-free, and it’s natural. The flavors are from natural essence oils from the named fruit. Plus, some research suggests that carbonated water may be more filling than flat water. One study indicates that carbonated water provided a short-term but significant satiating effect compared to regular water. What all this means: It may help you maintain (or perhaps even lose) weight when you consider the one-two punch sparkling water provides—it helps to fill you up without filling you out. Put simply, you can feel really good drinking it. I know I do. Flavored sparkling water provides a fizzy soda fix without silly, suspect ingredients. A surprisingly high number of people are hooked on overly sweetened soda. In 2013, the average American drank over 38 gallons of the stuff per day! A typical 12-ounce can of regular cola contains nearly 9 teaspoons of added sugars, while a 20-ounce bottle contains about 16 teaspoons of sugars. Diet sodas are no bargain either, containing up to—gasp!—5 packets of artificial sweeteners per 12-ounce can. By swapping one can of regular soda for a sparkling water each day, you’ll save yourself 4,200 calories (and just about 300 teaspoons sugar) per month, and a hefty 50,400 calories per year. That could translate to a 14-pound drop on the scale! Sparkling water provides a healthy and delicious middle ground, giving you flavor and fizz but also pure goodness. Say ahhhhhh!